The Cnop team studies pancreatic bcell failure in type 2 diabetes and in monogenic forms of diabetes related to endoplasmic reticulum (ER) stress, mitochondrial dysfunction and tRNA biology. To gain further insight in the pathways of bcell failure in diabetes and to test novel therapies, we have established an induced pluripotent stem cell (iPSC) facility: the differentiation of patient-derived iPSCs into human bcells provides a highly relevant disease-in-a-dish model, opening a wide range of new research avenues. The post-doctoral applications are invited in the context of the project “Belstem”, funded by the Belgian National Scientific Research Fund (FNRS): Pancreatic bcell failure is central to the development and progression of type 2 diabetes. Lipotoxic insults lead to ER stress and mitochondrial dysfunction in bcells. Dysregulation in these same organelles causes bcell failure in monogenic forms of diabetes. These monogenic forms of diabetes will be used as experiments of nature that provide us with human knockout models for key aspects of bcell biology. In these simpler systems, pathogenic mechanisms will be studied and therapeutic targets tested. Genome editing and patient iPSCs differentiated into bcells will be used to gain mechanistic insight, using RNA-sequencing, ribosome footprint profiling and proteomic approaches. Our main goal is to identify master regulators of bcell ER stress, protein translation and mitochondrial dysfunction. The iPSC-derived bcells will also be used to test novel drug therapies. The work on monogenic diabetes will further our understanding of bcell failure in type 2 diabetes, which shares dysregulation of the same biological pathways, and open the way for novel treatment strategies. The candidate will hold a PhD degree and have a strong interest in diabetes research, with the ability to work autonomously and as part of the iPSC team in our lab. Experience in stem cell biology, pancreatic bcells and molecular biology will be a major advantage. 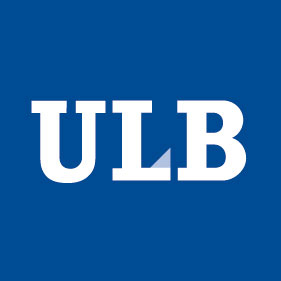 Postdoctoral Scientist - We offer a full-time position at the ULB Center for Diabetes Research in Brussels.